With polling day fast approaching, the main question being posed to many of our local candidates is how do we solve the recent spate of burglaries in the area. Figures released by the CSO at the end of 2015 show bulgaries are up almost 10% nationally but even more worryingly up almost 30% in my own locality. 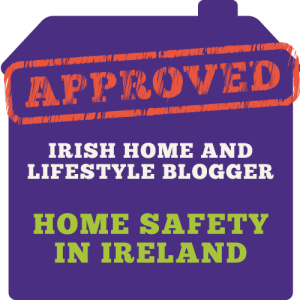 This leads to be some interesting research conducted by Chill Insurance for their Home and Lifestyle habits survey, where they contacted over 400 Irish homeowners and asked them to tell them about their home safety habits (ie do they use a house alarm, what’s the most prized possession in their house, do their pets help with household security etc.) The results both intrigued and shocked me!! I am a little obsessive about security and locking up our house following a break in when we had just moved in to our new house last year and the alarm had not yet been fitted. I was pregnant at the time and really got some fright. This next statistic could probably be doubled in my case! 1 in 5 people spend up to 3 hours a year locking up their home!! I think for me personally having had a break in really forced me to review my albeit quite lax at the time security arrangements. Thanks to Chill Home Insurance for sending me on the survey and associated graphics.